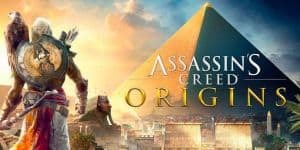 Assassin's Creed: Origins Viewpoints Downgraded | Nerd Much? According to Assassin’s Creed: Origins‘ creative director Ashraf Ismail, the viewpoints we’re used to will not appear in the new game. Instead of acting as sync points and unfogging the map, the viewpoints of Origins will nothing more than an homage to previous games in the series. If you do want to unfog the map, you’ll have to explore areas yourself or get your eagle, Senu, to scout ahead and reveal the map. Since owning Senu will allow you to slowly train and upgrade the eagle, Ismail states that this shows how viewpoints were guarded by eagles in “later” games within the story. As to decluttering the map, as stated before, it seems that Ubisoft wants to encourage physical exploring by placing question marks to highlight areas of interest. I’m not sure how this declutters the map, but we’ll see. Honestly, I think a game map can be as cluttered as it wants to be, but there needs to be a pay off for that kind of extensive exploration. For example, I have yet to forgive Far Cry 4 for creating a really cool collectables quest of maps, bodies, serial killer notes, and absolutely no conclusion to the story. You never find the killer, you never really figure out why, or encounter any sort of conflict while on your search. If Ubisoft can do this better with their Assassin’s Creed series, I would welcome it. Exploration needs to be rewarded with more that just unfogging the map.